A while ago I was catching up with an old friend. We graduated from undergraduate school together. We had shiny new art degrees and headed off to find graduate programs. We both had slight detours before grad school. I was missing an art history requirement and one philosophy requirement. I completed those during the first summer session after the spring semester. Since I wouldn’t make it in time for the fall semester I lucked into a job painting murals and faux finishing fancy homes around Charlotte, NC. On the weekends I worked as a gallery attendant. I rented a share of a garage from a rock band who never practiced and two artists who never worked and had a giant studio to myself. I put together a show and got my name in the paper. My friend moved off to Austin with his new wife - at 21 that seemed so advanced to me - and she attended a graduate program for music while he worked and made artist friends and made art. Austin is much cooler than Charlotte. In another year I was attending University of North Carolina at Greensboro for their Master of Fine Arts and in two years my friend and his wife had relocated to Houston to attend the University of Houston’s MFA program. By the second year of my friend’s program we had both read enough Arthur C. Danto and Dave Hickey to be done with all of it. He had the bravery to quit outright. I muddled through my second year, working in the computer lab and part time in an ad agency. I left art school with a job that paid money. Take that establishment. He and I had rage-quit art-with-a-capital-A by this time and it was liberating. Outside of the just-grimy-enough art school and the white cube of the museum you knew your work was good if you got paid for it. Now, years later, both of us are coming back around to making art (with a small ‘a’) because it’s nice and human to have a creative outlet. It’s also fun. But it’s hard to shake all that indoctrination. It keeps showing up in the back of my mind and saying dumb things. “But what should I do with this work. What am I getting at?” and other boring thoughts. The only thing you need to say with a painting is “hey, look at this”. When we caught up the other day, we were grousing about our education and how it led us from things we loved and how rotten and false all of it was. 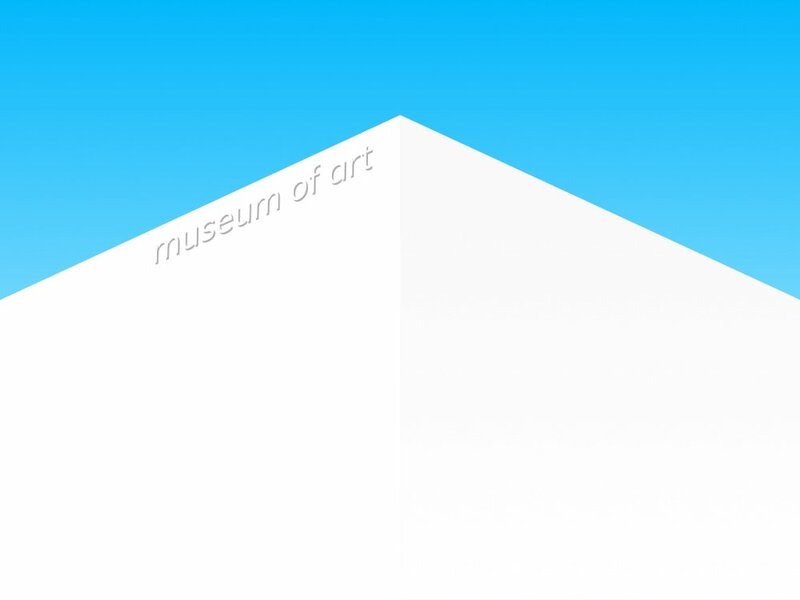 I blurted out the phrase “Museum Industrial Complex” to describe it. My friend texted “omg copyright that”. I registered a domain nameinstead. This was a good opportunity for me to build http://museumindustrialcomplex.com. (There should really be a good name for silly fake websites.) I host the site using the GitHub Pages feature of my GitHub account, and I’ve made the repository public. I wrote the site imagining a cabal of art historians and curators meeting at a large conference table. They would sit under the conference table instead of at it because, you know, artists. This shadowy group would conspire on how best to spend donations from the rich and tax dollars from the government while persuading the potentially art loving public that they should never buy or love anything. Because that would be wrong. I imagined this group selling their services to the ultra rich, guaranteeing their social and cultural status for a price. These folks would need a website. 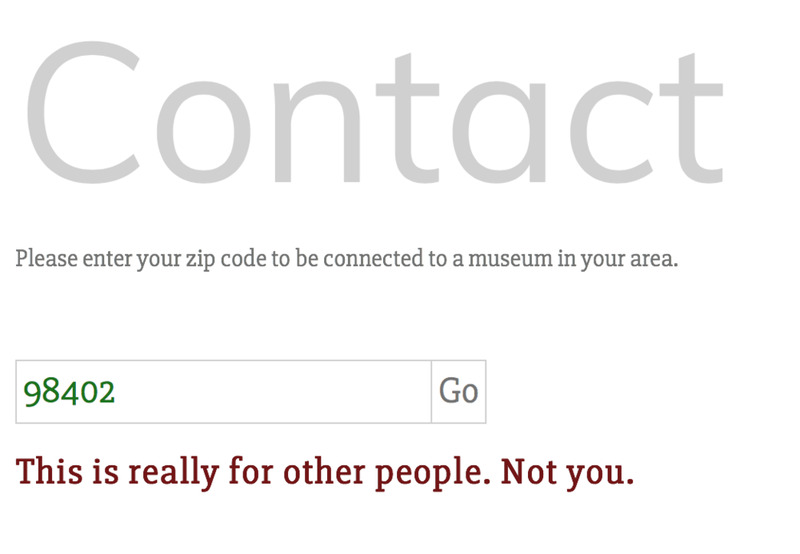 I included a snarky contact form which only rejects you. I needed some other effect. I thought about having the text become unreadable on mouseover, or the “arty” graphics obscure your view. Finally, I had the text fade away slowly leaving nothing but a tombstone.